After two full years of having this on my to-do list, I have finally created a page to track my reading (or, more specifically, my reviewing) of Anthony Trollope and Angela Thirkell’s Barsetshire books. I’m not sure of how much interest this will be to most of you but I feel lovely and well-organized now that it is done and surprisingly accomplished, seeing how many of the books I have managed to read already. Of great interest!! I want to read (or re-read everything on this page! It’s lovely, Claire! I always look forward to your posts on both. And I am anxiously awaiting my copy of Christmas at High Rising, as I’m sure you are. I love it…almost like a challenge, but no pressure. Thanks so much, Claire. I’ve forwarded it to Angela Thirkell Society members and I know they’ll find it very helpful. I love it – Christmas at High Rising and Promfret Towers arrived at my house in the new shiny Virago editions on Thursday and I am looking forward to them. I have also started to re-read the Anthony Trollope Barsetshire books, I re-read The Warden and Doctor Thorne this year and loved them all over again. Thanks for sharing this, Claire. 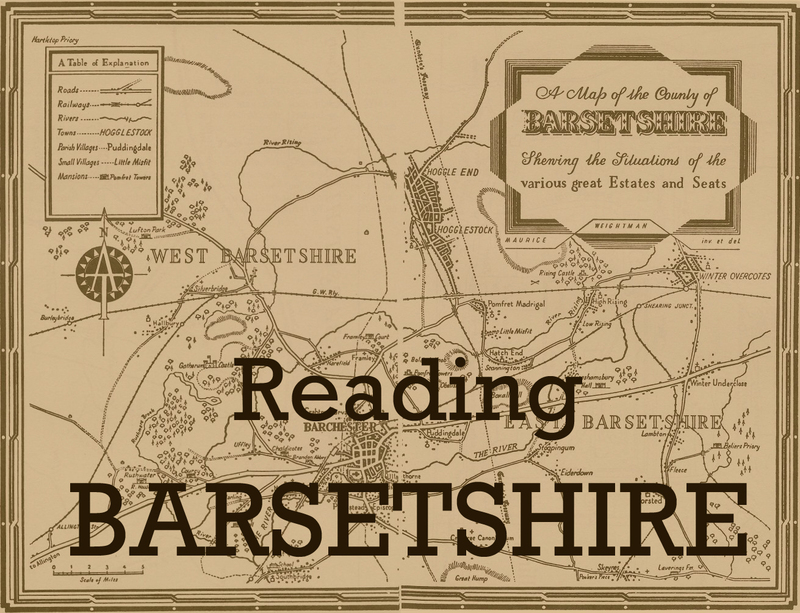 I hope to “visit” Barsetshire sometime soon. Claire, what a good idea. It was fun to look at the list and see what I have read. So far, Barchester Towers and The Warden by Trollope and Wild Strawberries by Thirkell, which I just discovered. I hope to read more by both writers soon!